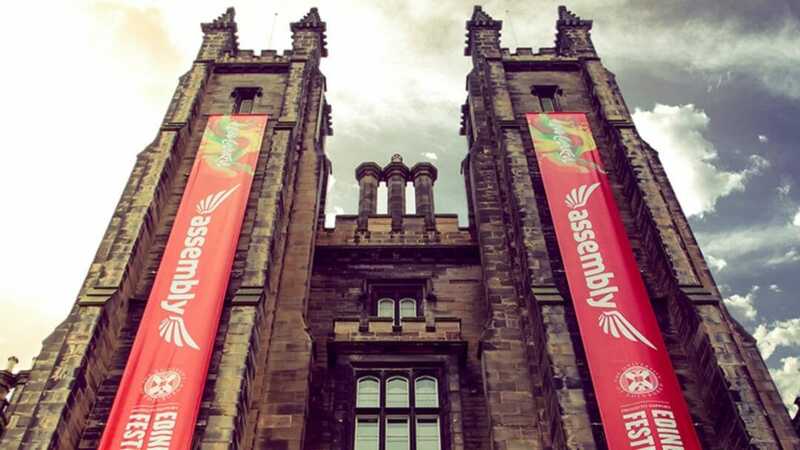 Assembly Festival has announced over 100 more shows going on sale tomorrow (Thu 18 Apr) as part of this year’s Edinburgh Festival Fringe. Highlights include best-selling author, actress and activist Rose McGowan making her Fringe debut; star of Parks and Recreation comedian Nick Offerman; legendary screenwriter Russell T Davies (Doctor Who and Queer As Folk); Clive Anderson – the host of Whose Line Is It Anyway; comic legends Frank Skinner, Mark Watson, Russell Howard, Simon Evans, and Hardeep Singh Kohli; impressionists Christina Bianco and Jess Robinson; Scottish stand-up comedian Susie McCabe; Arabella Weir (BBC Two Doors Down); star of Netflix’s Comedians of the World Aditi Mittal; and comedy award nominees Nick Helm, Larry Dean,James Hancox, Joanne McNally, Tom Walker and Nath Valvo. They will be joining fast-paced sketch comedian Goose: Ctrl+T; high camp, filthy cabaret star Reuben Kaye; abrasive, witty expat-antipodean Kevin the Vampyre; Tom Lenk star of Buffyand the 2018 sell-out Tilda Swinton Answers… ; Pamela’s Palace – a hilarious situational comedy set in a hairdressing salon; comedian Diane Chorley who is turning The Underground (Assembly’s George Square venue) into her immersive 80’s night club The Flickfor her two new shows, Down the Flick and Modern Love; and Lolly Jones who returns with her new comedy show about Merkel, May and the EU. Classic hits are celebrated in our musical theatre programme going onsale today which includes Friendsical: A Parody Musical about Friends a tribute to the iconic TV Show written by Miranda Larson; Cruel Intentions The Musical, based on the cult movie Dangerous Liaisons; Wannabe: The Spice Girls Show; and the Royal Conservatoire of Scotland’s rendition of Legally Blonde The Musical. Also premiering is Elfie Picket’s Ane City, winner of this year’s Assembly ART Award written partially in Scots and set during an unforgettable night out in Dundee.Other highlights in this year’s theatre programme include: The Believers Are But Brothers and the return of The Fishermen both part of the British Council’s Edinburgh Showcase;; Musik a one woman show by Frances Barber about art icon and rock star Billie Trix (Pet Shop Boys); new work from Canadian director Judith Thompson – Watching Glory Die inspired by the shocking and true story of teenage prisoner Ashley Smith, who committed suicide while guards looked on; and What Girls are Made of – the 2018 Fringe smash directed by Orla O’Loughlin and based on the true story of Cora Bissett’s rollercoaster journey from 90s indie-kid hopeful, to wised-up woman. Topical theatre going on sale today includes Brendan Galileo for Europe a funny award-winning play about Irish politics, the EU and Eurovision; Fake News the story of a budding journalist who lands an internship at the country’s biggest online news company, and breaks an earth-shattering exclusive that’s completely untrue; and Raphael Wakefield in Wengerball about the rise and fall of Arsène Wenger (BBC Radio 4Xtra). Guy Masterson presents five pieces this festival – The Shark is Broken set onboard the Orca and loosely based on the 1974 Hollywood blockbuster Jaws; Shaving the Dead – a hilarious Beckettian black comedy written by Owen O’Neill; the Brighton Fringe Best Show Runner Up Guys, Dolls and Pies; a fresh feminist take of Shakespeare’s classic Romeo and Juliet, and new hit comedy Pals set on a Birmingham council estate. Dark comedy theatre told through clowning, physical storytelling and live music includes Haste Theatre’s Ex-Batts and Broilers about two delightful chickens on a journey through chickenhood; Bang Average Theatre’s Lucille and Cecilia – a surreal piece about two circus sea lions; and beep boop a multimedia clown show exploring our obsession with technology. This year’s dance and physical theatre highlights include Fringe favourites Flip Fabrique’s return with their new show Blizzard set in the dead of winter and told using breath-taking acrobatics and visual storytelling; Java Dance Theatre from New Zealand’s new shows Chocolate and Back of the Bus combining physical and kinetic energy with a magical mystery tour of Edinburgh by bus; the return of international smash-hit Bromance exploring male companionships and their limits where handshakes become handstands and backslaps become backflips; Forest from the world-renowned Moscow Art Theatre School – 14 contemporary young Russian artists perform a powerful dance fantasia about the natural world; Recirquel from Budapest returning with five star sell-outs My Land and Paris de Nuit;the National Academy of Chinese Theatre Arts bringing us Peking Opera’s Farewell My Concubine; and Machine de Cirque returning with a new production La Galerie taking you to the boundaries of art. Assembly’s programme so far is available here.